This time out, I’m going to take a brief look at one of the oldest and most valuable SF books in my collection, the earliest collection of short fiction by classic 1930’s SF author Stanley G. Weinbaum. I bought this book a long time ago from a UK used book dealer, must’ve been thirty-five years ago or more, way back when I was just becoming an obsessive book collector for the first time. It actually came as part of Weinbaum two-book set by the same publisher, Fantasy Press, the other book being The Red Peri, another collection of Weinbaum’s short fiction, which will also be the subject of the blog post after this one. PUBLISHER: Fantasy Press, Reading, Pennsylvania, US, 1949. This collection is notable for containing Weinbaum’s most famous short story, “A Martian Odyssey” and its sequel, “Valley of Dreams”. There are also a few other good ones, including “Parasite Planet” and its sequel “The Lotus Eaters”, “The Mad Moon”, “The Worlds of If” and “The Adaptive Ultimate”. “The Adaptive Ultimate” has also been (if you’ll pardon the pun) adapted to film, television and radio a number of times over the years. 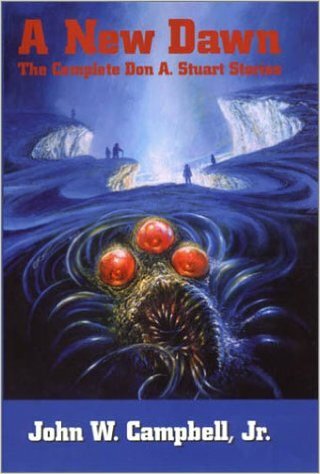 Overall, A Martian Odyssey and Others contains most of the best of Weinbaum’s short fiction, and, combined with the eight stories in The Red Peri contains almost all of the short fiction that Weinbaum wrote, with the exception of a handful of stories. It looks like this book was bought as a Christmas gift for someone, and this dedication is a tribute to a H.G. Wells fan group active in the UK, possibly in the late-1940s and the 1950s. At least that’s the assumption that I’m making from this. I know that it’s a long shot, as we’re talking more than sixty years ago here, and this group may or may not have been anything more than a small local fan group. But does anybody out there have any information on an old UK-based SF/HG Wells fan group by the name of ALF GREGORY’S HG WELLSIANS? If so, I’d be very appreciative if you’d let me know the details. This time out, we have a single author collection of short fiction by one of my favourite authors, Clifford D. Simak, in which all of the stories have an underlying thematic link dealing with the mysterious paradox of time. It’s quite a short collection, at only 171 pages, and only four stories (making it a relatively quick and easy read compared to most of the modern brick-sized entities masquerading as books). But one of those stories is a long novella, and there are also two novelettes and a single short story making up the rest of the book. And what stories they are. The stories are all quite long. Even the shortest, “The Grotto of the Dancing Deer”, comes in at just over twenty-one pages. This story is a good one, first published in Analog back in April 1980, and winning the Hugo, Nebula and Locus Awards for that year. It’s a lovely story, and one which I recall enjoying a lot when I first read it twenty or so years ago. “The Marathon Photograph” at seventy pages, is the longest story in the collection. I read this one many years ago on its original publication in Threads of Time, edited by Robert Silverberg (1974). I loved it then, and still do. It’s my favourite of the four stories in this collection. The other stories in the collection, “The Birch Clump Cylinder” and “The Whistling Well”, are two that I haven’t read before. From what I’ve read of both stories so far, I’m quite sure that I’ll enjoy them just as must as I did the other two. 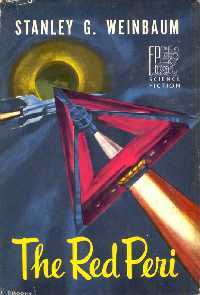 Simak had his first SF story published in Astounding way back in 1931 (“World of the Red Sun”), and most of my favourite Simak short fiction came from much earlier in his career – “The World of the Red Sun” (1931), “Sunspot Purge” (1940), “Beachhead” aka “You’ll Never Go Home Again” (1951), “The Trouble with Ants” (1951), “Small Deer” (1965), and a few others – and I haven’t read a lot of his later stuff. By contrast, the stories in this collection are all from quite late in Simak’s career (he died in 1988, at the age of 83), the earliest two being written when he was almost 70, and the other two during his mid-70’s. It’ll be interesting to compare and contrast with his earlier material. 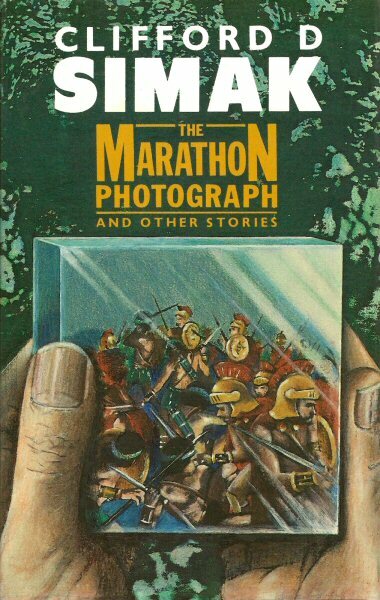 “The Marathon Photograph” already rates as one of my favourite Simak tales, if not my overall favourite. Definitely a nice little collection, from a pretty much forgotten (except by the oldies) and greatly underappreciated author. Here’s another book of excellent short fiction, this time it’s a single-author collection, THE BEST OF ARTHUR C. CLARKE 1937-71. This is an interesting one, although there are certainly some stories missing from it that you might expect to appear in any self-respecting Arthur C. Clarke Best of…. To name but a few: The Nine Billion Names of God, “If I Forget Thee, O Earth…”, The Wind from the Sun, Transit of Earth, I Remember Babylon, and Expedition to Earth, among others. And there are also quite a few personal favourites that I thought should’ve definitely been in there – Rescue Party, All the Time in the World, The Forgotten Enemy, The Fires Within, Time’s Arrow, Out of the Sun, and a few others. But that’s the problem with all Best of… collections, isn’t it? There’s never enough room for every story that the readers (or editors) think should definitely be in there. And, in the end, it’s totally up to the personal choice of the editor. Still, even with the omissions, this is still a nice collection of Clarke’s short fiction. 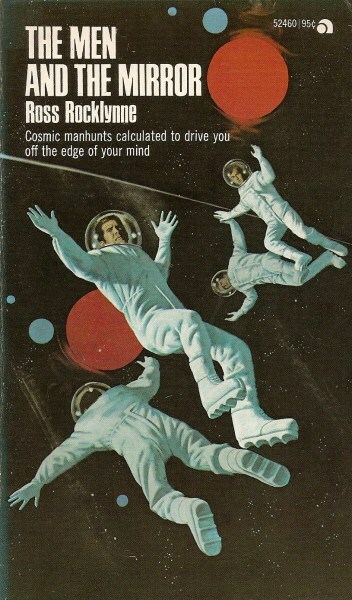 This was the very first collection of Arthur C. Clarke short stories that I ever read, way back when I was a kid (we’re talking forty years ago here), so it holds significant sentimental value for me, even though it isn’t by any means the most comprehensive collection of Clarke’s best short fiction. For that, read instead the later collection MORE THAN ONE UNIVERSE: THE COLLECTED STORIES OF ARTHUR C. CLARKE (US, 1991), which would be much more deserving of the title THE BEST OF ARTHUR C. CLARKE. * The Sentinel is erroneously dated in the contents listing as being published in 1954. The correct publication date is 1951. 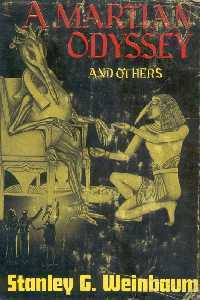 ** The collection is dated 1937-1971, but one story in the collection, A Meeting with Medusa, was published in 1972. Here’s another book of excellent short fiction, this time a single-author collection, THE BEST OF ARTHUR C. CLARKE 1937-71. 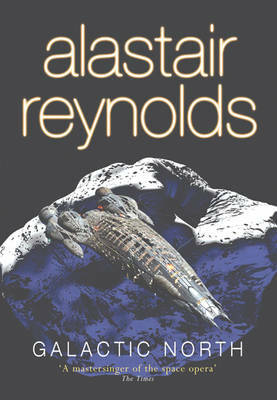 Anyone who knows me is very aware that I’m a huge fan of the science fiction writing of leading British/Welsh “hard” SF author, Alastair Reynolds (and of New Space Opera/Hard SF in general). I have most of his novels, with the exception of a couple of the most recent – I’ll have to rectify that omission soon – but as much as I like Reynolds’ novels, I like his short fiction even more. I’ve been a fan of his short SF going right back to the very first short story of his (that is, the very first that I read, not the first he had published), “Spirey and the Queen”, which appeared in Interzone 108 (June 1996). I liked this story a lot, so I did my usual thing and put his name into my little mental list of “new SF writers to watch out for”, with the intention of reading any other Reynolds stories that I came across. But it was really with “Galactic North”, which was published in Interzone 145, that he became one of my favourite SF authors. Reading “Galactic North” (and, around the same time, and also in Interzone, another one of his stories, “A Spy in Europa”) was like receiving a high-octane boost of adrenaline, and just pushed all the right buttons for me. This exciting New Space Opera, a fusion of ultra-hard SF and the more traditional action adventure of classic space opera, was like a breath of fresh air to me. From that point onwards, I began to hunt eagerly for every SF magazine that I could find containing any Alastair Reynolds stories, followed by every Reynolds novel that was released, starting with his Revelation Space sequence of novels, REVELATION SPACE, REDEMPTION ARK and ABSOLUTION GAP. The first is a very nice signed 1st edition hardcover of GALACTIC NORTH, his first short story collection. This is a collection of stories set in his classic Revelation Space universe, which includes both of the above-mentioned stories, “Galactic North” and “A Spy in Europa”. This is a fantastic selection of stories, spanning a time from barely a couple of hundred years in the future, way up to a distant forty thousand years ahead, and set in a universe inhabited by the likes of the Conjoiners, Ultras, Demarchists (all sub-branches of humanity), the Inhibitors (ancient alien killing machines which have been awakened from aeons-long sleep, with one single objective – to annihilate any emerging intelligent species, in this case, humanity), and any number of other brilliant creations from the amazingly inventive mind of Mr. Reynolds. The second hardback collection is ZIMA BLUE, a companion volume to GALACTIC NORTH, this time a selection of his non-Revelation Space short fiction, which includes the aforementioned “Spirey and the Queen” and other equally excellent tales. These fascinating and enjoyable stories show that Reynolds is not a one-trick pony, and has many other great stories to tell that are not based in the Revelation Space universe. 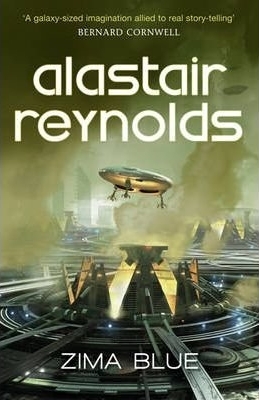 His more recent novels based in various non-Revelation Space scenarios, including HOUSE OF SUNS, CENTURY RAIN and PUSHING ICE, show that there is an entire multiverse of new stories still to come from the fertile mind of Alastair Reynolds. I’d already previously read almost everything in these two collections, with the exception of several of the newer stories, but it’s really nice to get all of these excellent stories in two nice books, instead of having to go hunting through piles of SF magazines trying to find individual stories. These two books are an absolute must for all Alastair Reynolds fans, and I’d not only recommend them to anybody who enjoys Hard SF/New Space Opera, but indeed good, ripping SF yarns of any kind. Anybody who may not yet have had the good fortune to have read any Alastair Reynolds, take my advice – grab these two collections, jump in, feet first, and enjoy some of the best SF short fiction available.